A multipronged approach to improving services for students with special needs. With limited funding, school systems are searching for creative means to meet the needs of all students. By redesigning our in-district special education program at Meriden Public Schools in Connecticut, we’ve been able to provide better learning experiences for our students and more support to families by increasing family networks and building community partnerships. The redesign has saved us millions of dollars throughout the years. Redesigning programs is often cumbersome, but with a thoughtful, well-developed plan, you can make the changes necessary to provide students with greater academic and emotional success. Here’s what we did and how you can get started. In 2011, we conducted an audit of our special education department using an outside agency to ensure an impartial, comprehensive assessment. A program audit is an important step in identifying program requirements, supports, and needs. To what extent are special education students receiving educational benefit from the programs and services provided? To what extent are resources utilized effectively and efficiently to meet the needs of the special education population? The auditors reviewed files, observed classrooms, held focus interviews, collected district and state data, and conducted in-depth student reviews. Feedback results encouraged us to develop staff capacity, acquire necessary space, and create strong partnerships with community providers and our families. It became apparent that we depended on outside staffing for too much of our direct services and program decisions. At the time of the audit, we were spending a lot on behavioral services from a company that provided a board-certified behavioral analyst (BCBA) and behavioral technicians. They produced quality work and had been with the district for many years. However, we had unintentionally created an environment in which we taught academics and outside providers taught or managed social-emotional and regulation skills. This divide was preventing us from truly understanding the complex needs of our students. Somebody else owned our data. Somebody else was telling us what to do with the children in terms of both academics and emotional services. We realized that we needed to start regaining ownership. By increasing our own staffing for in-district programs, we were able to maintain ownership of our students’ data and programming needs. The behavioral analyst was carefully chosen based on not only her skill set as a BCBA but also her ability to understand public education, special education law, and the importance of building capacity. Furthermore, using the knowledge and expertise of our lead occupational therapist, lead physical therapist, and special education teachers, we created a transdisciplinary team to meet the needs of our diverse population. We realized that we needed more space within the district than just the two classrooms for our Students and Teachers Achieving Remarkable Success (STARS) program, which focuses on our neediest students with autism and communication disorders. We didn’t have space to expand at Benjamin Franklin School, so we looked throughout the district and discovered that we could expand the classrooms at Hanover Elementary School. We now have five classrooms. 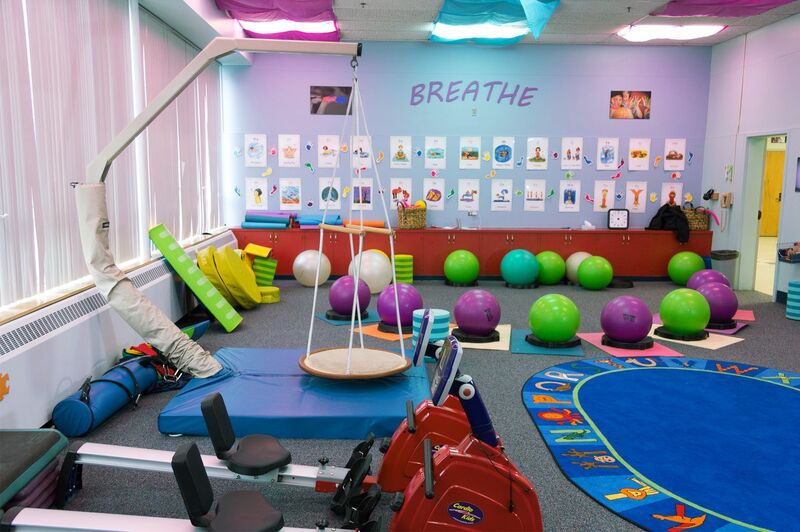 In addition, we have an all-abilities-access playground as well as a state-of-the-art sensory room. Our community partnerships enable the district to provide quality experiences both within the building and within the community. Over the years, we’ve held activities for daily living training at the Meriden YMCA pool and had equipment donated to the STARS program. Most recently, a local family—in memory of a relative—paid for aquatic books for each classroom and a presenter from an aquarium with hands-on touch tanks for our in-house field trip. The extent of our community partnerships for the STARS programs is vast, and we wouldn’t be where we are today in our programming without them. Sharing plans and garnering parent support were fundamental to the success of our special education transformation. Prior to the move, the superintendent, pupil personnel staff, and building-based staff met with families to share our vision. The students received hardcover social skills story books that described the move, the building, and the new staff, and the students and their families were given time and activities to assist with the transition. Our collaborative efforts and partnership have helped us build a cohesive child-centered team. Our family nights are another critical component to our program. Currently, we run three family nights a year. The students and their families—siblings, parents, grandparents, whomever the family wants to join—get together. We share food, the kids play in the sensory room, and we set up theme-based activities in the gym. We’ve been told by many families that these nights are the only nights they can go out as a family and be themselves. The nights are not teaching nights but a chance for us to give back to the families. The parents have become friends and have built a strong network among themselves. This is part of our Schools That Work series and features key practices from Meriden Public Schools in Connecticut.